Squabble over parking garage in West End? WATCH Todd Portune's comments to Jeff Berding in the video player above. Watch Berding's comments below. 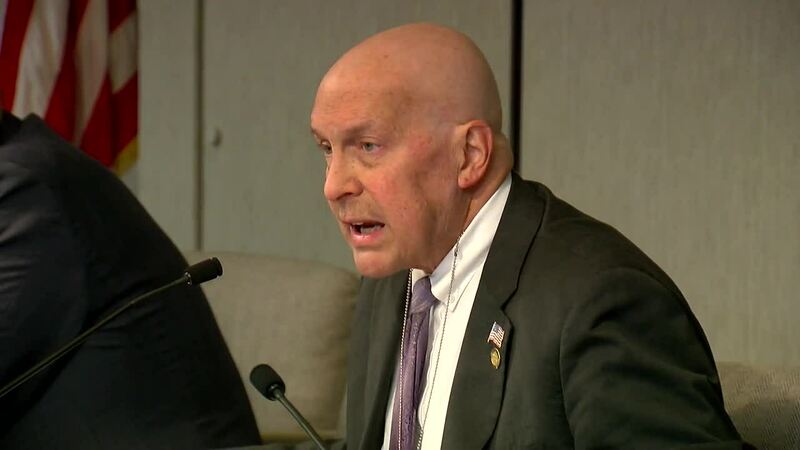 CINCINNATI – Hamilton County Commissioner Todd Portune rebuked FC Cincinnati President and General Manager Jeff Berding at length after Berding spoke during a county commission meeting Wednesday. Berding requested commissioners provide within a week a contract for the parking garage he said commissioners promised to build for the team's Major League Soccer stadium in the West End. Portune, the commission president, took exception to Berding's demand in a nearly 9 1/2-minute response from the dais while Berding sat quietly but attentively in the crowded gallery. Portune reminded Berding that they had met Friday and discussed parking, but Portune said Berding had changed direction since their meeting and was now suggesting that the county was reneging on its commitment. 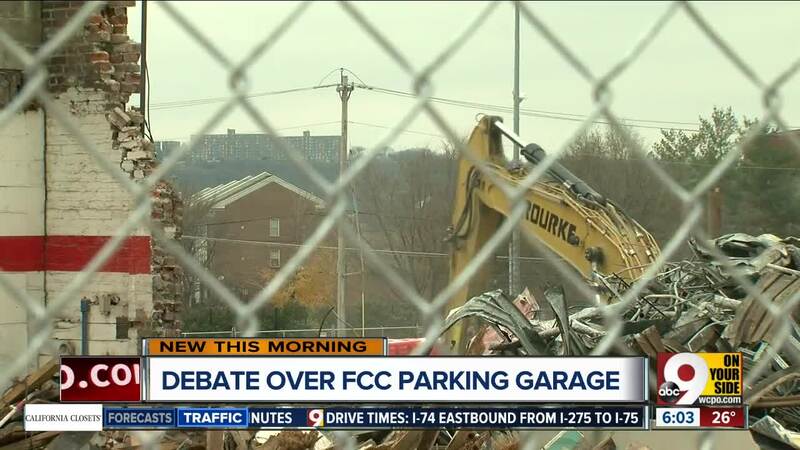 "What seems to me is what you're saying today is we (FCC) no longer want to move in the direction we talked about, but now you’re insisting on a 1,000-car garage at the stadium site itself," Portune said. "To suggest that the county is reneging, I take great offense at, as does the county. We have not reneged on anything." "Honestly, coming here and raising questions in the public's mind about whether we're going to honor our commitment is not in good faith. All right? It really isn't, Jeff." Portune didn't say what they discussed at Friday's meeting, but he did say the three commissioners had planned to talk about it in executive session after Wednesday's meeting and they planned to move forward. With Cincinnati Ballet's West End franchise now a factor in the equation, Portune's comments suggested that the four people at Friday's meeting might have talked about options for providing 1,000 spaces in two garages or some spaces in an off-stadium site. Portune mentioned that former Mayor Mark Mallory and attorney Jim McGraw, both FCC consultants, were there. "We thought we were making progress toward a resolution, and you come here and raise more questions in the minds of the public about whether we're going honor our commitment, about whether we're ever going to get this done, and say today that we need to provide a 1,000-car garage at the stadium site, which is not what we talked about on Friday," Portune said to Berding. The county may be trying to find a solution that will satisfy both FC Cincinnati and Cincinnati Ballet. The soccer club wants the garage built on land that Cincinnati Ballet leases and uses as parking space for its offices, training facility and youth academy at Central Parkway and West Liberty Street. FC Cincinnati bought the land after successfully negotiating with the city, county and Cincinnati Public Schools to build a stadium in the West End, but Cincinnati Ballet says it has seven years remaining on its lease and doesn't want to give up its parking area. "Cincinnati Ballet has an elevated parking lot from Wade Street to its front door. It's critical, core-essential to our business operation and our ability to run our academy," Cincinnati Ballet CEO Scott Altman told WCPO on Wednesday. Altman said Cincinnati Ballet has been in "communications" with FC Cincinnati about parking, but Altman said Cincinnati Ballet wasn't represented at Friday's meeting and he has no knowledge about what was discussed. Asked what would satisfy Cincinnati Ballet, Altman said, "I'd like to say as long as we can continue to operate under current conditions." While looking at Berding for the most part, Portune strongly defended the county's support for FC Cincinnati through months of negotiations with MLS, the city, CPS and West End and Oakley community leaders. Oakley was the first location FCC considered for its stadium. Portune said the county held money in reserve when it could have been used for other needs, even while those delays jeopardized the county's ability to produce "positive economic development" from the proposed garage. Portune also pointed out that the county had "stood up" to requests to contribute "sales tax money" to build the stadium. The county eventually agreed to use parking revenues from garages at The Banks to pay for an estimated $15 million garage. FC Cincinnati also got public money from the city and state to pay for infrastructure, but the club said it would pay to build the $250 million stadium. Portune pointed out the county is now the last public entity at the table with FCC, "but we expect no less than the same attention and good faith that was given to the West End, we expect no less than the same attention and good faith that was given to the City of Cincinnati, and we expect to fulfill this process in a way where, as we move forward in good faith, we expect the same from FC Cincinnati." Since the subject of the parking garage was not on the commissioners' agenda Wednesday, Portune refused to allow Berding more time to address them. "We are pleased that Hamilton County Commission President Todd Portune publicly confirmed today that the County will honor its commitment to fund the 1,000-car garage to support FC Cincinnati's $250 million privately funded stadium. We greatly appreciate Todd's leadership to get us to this point.